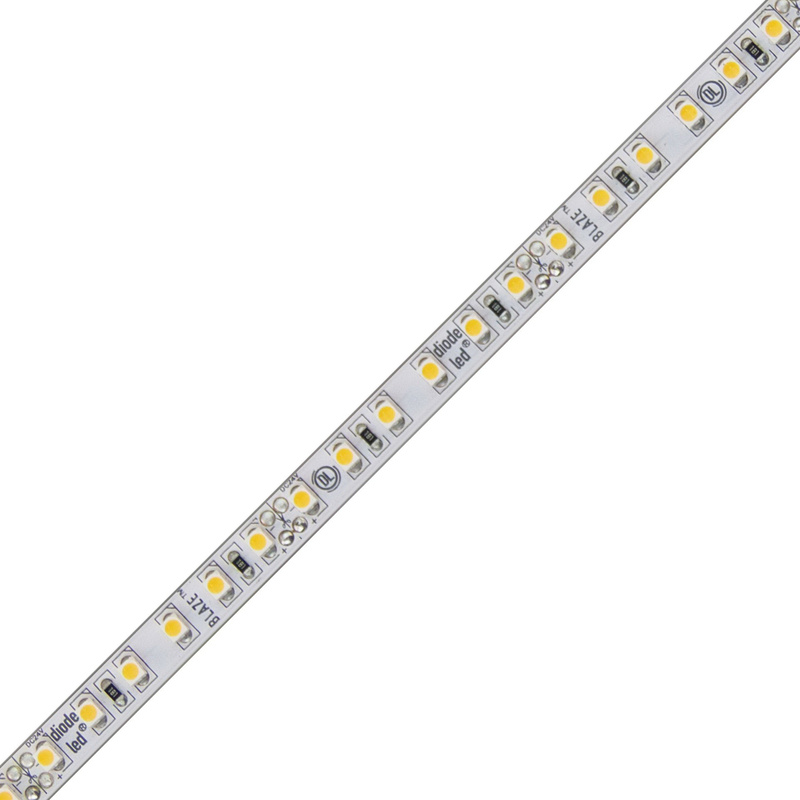 DiodeLED Blaze™ LED Tape light delivers 202-Lumens of soft white light at just 2.88-Watts/ft. It has a color temperature of 3000K and CRI of 97 for superior color rendering. It has the ability to run up to 33 linear ft on a single class 2 power source. This 2-Inch custom cut tape light features Epistar 2835 SMD LED chip, 3M adhesive backing and DC plug, lead wire connection. It is suitable for commercial and residential applications. LED tape light meets CE, RoHS and UL standards.